Rogers is the Chair of the Board of Trustees which governs the work of Volition across the UK. In his role, he actively promotes the programme to fellow Deans across the UK, promoting the role Cathedrals can play in addressing poverty and disadvantage in communities. 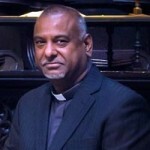 Born in Durban, South Africa; married to Celia; two children; ordained in the Diocese of Natal in 1985; Served as Vicar of various parishes in Durban and Pietermaritzburg for 15 years before moving to Manchester as Vicar of West Didsbury at the end of 2000; Area Dean of Withington (South Manchester); Dean of Manchester since January 2006. James has 22 years of property industry planning experience and has served on a number of boards of multi-disciplinary and development companies. James is a member of the Royal Town Planning Institute and holds an Honours Degree in Planning. James meets regularly with politicians and officers from Government to agree political and planning strategies prior to the submission of complex mixed-use planning applications. James project manages multi-disciplinary teams including commercial agents, architects, master-planners, environmental consultants and political advisors to provide practical commercial planning advice on often-sensitive development and environmental projects. 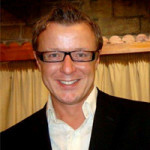 James is a Board Member of the Manchester Cathedral Council as well as the Cathedrals Development Group. 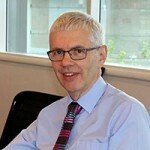 John qualified as a Chartered Accountant in 1980 with Deloitte. He took advantage of working for this large international accountancy firm by spending some time in the audit department of their Sydney office. He later set up his own small practice in South Manchester. John works with many charities, advising on internal financial controls, preparing annual budgets and cash flow forecasts, producing monthly or periodic financial information and assisting Trustees with their legal responsibility to prepare annual reports and accounts. Additionally, he also acts as an independent examiner for a number of charities.